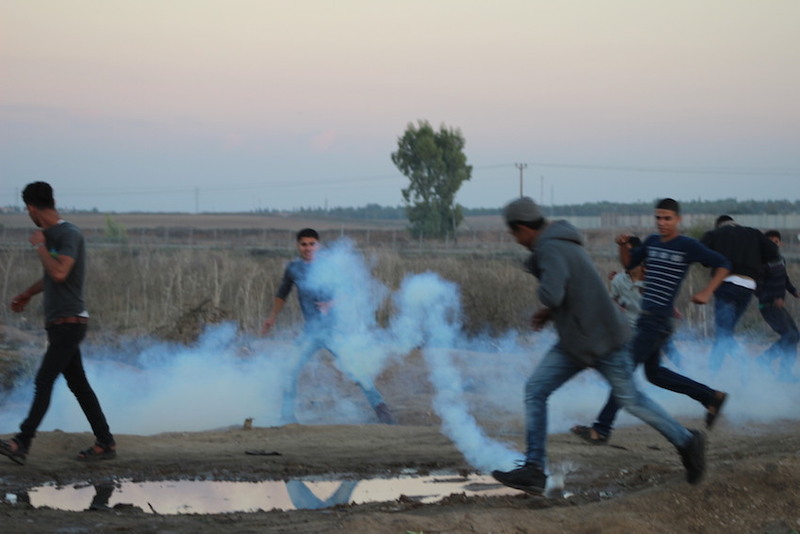 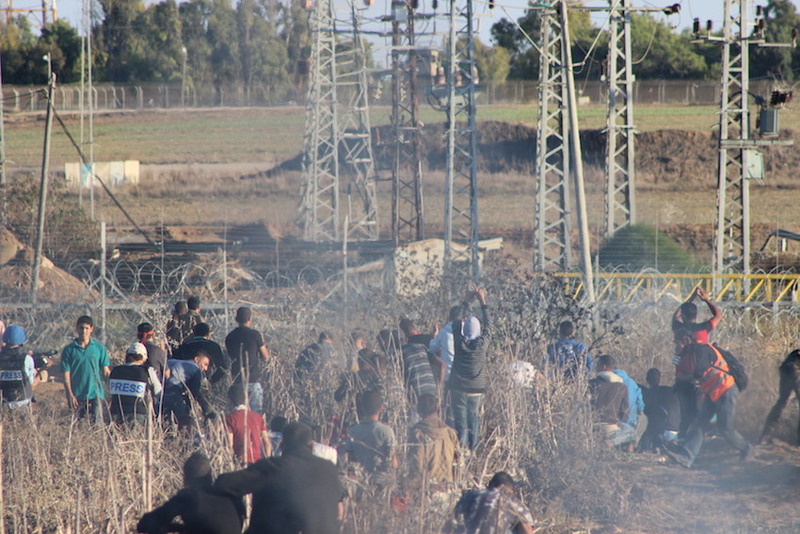 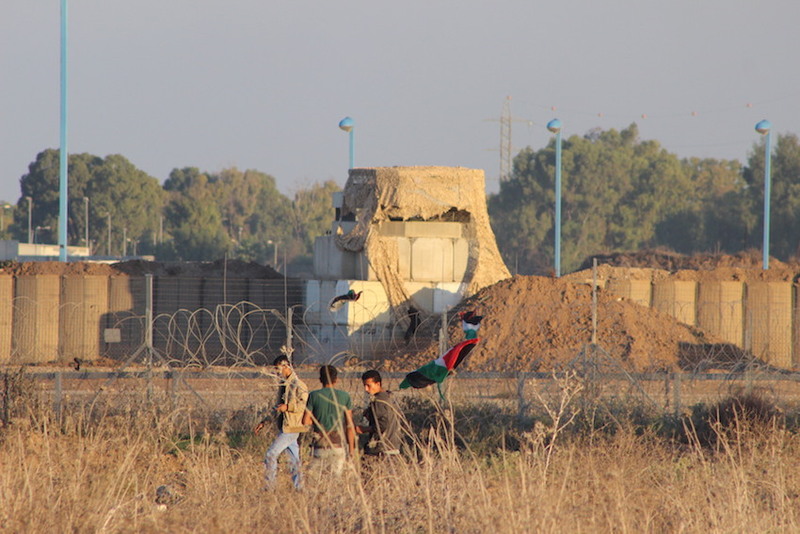 Images from clashes yesterday, October 30th in Nahel Oz (Shijaia), Occupied Gaza Strip. 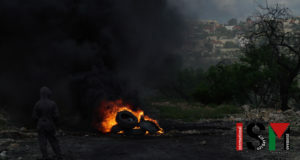 All photos credited to ISM, Gaza. 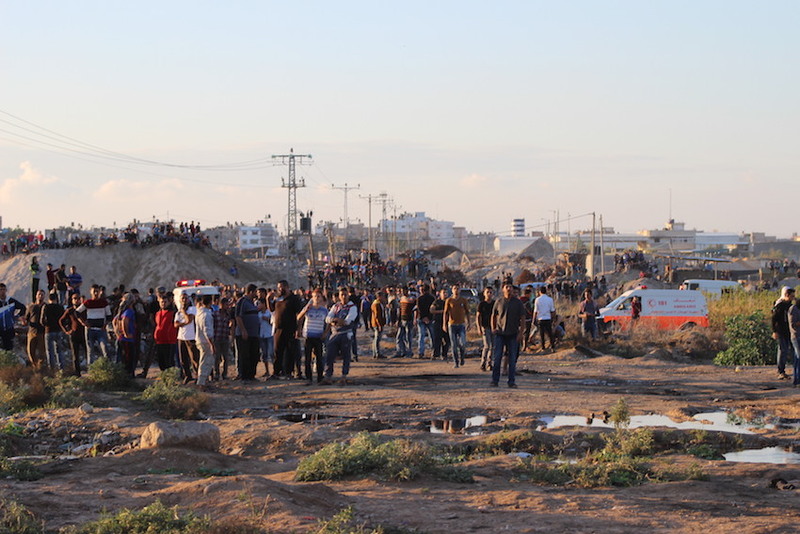 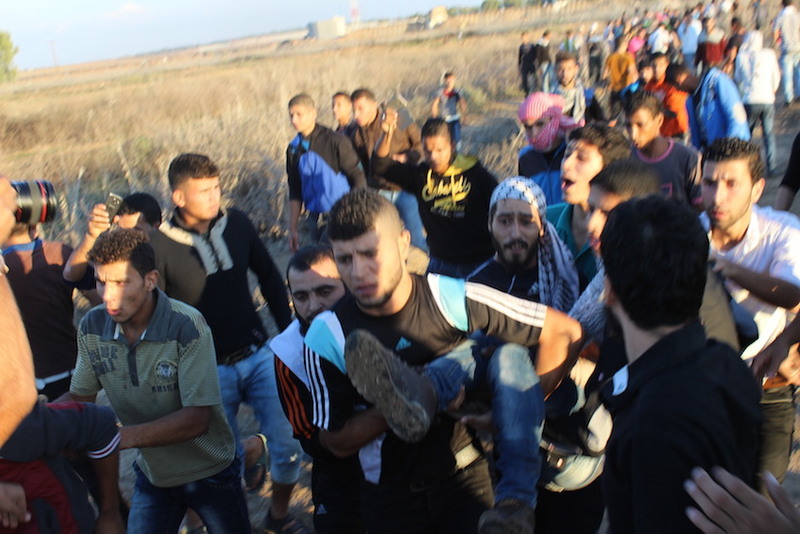 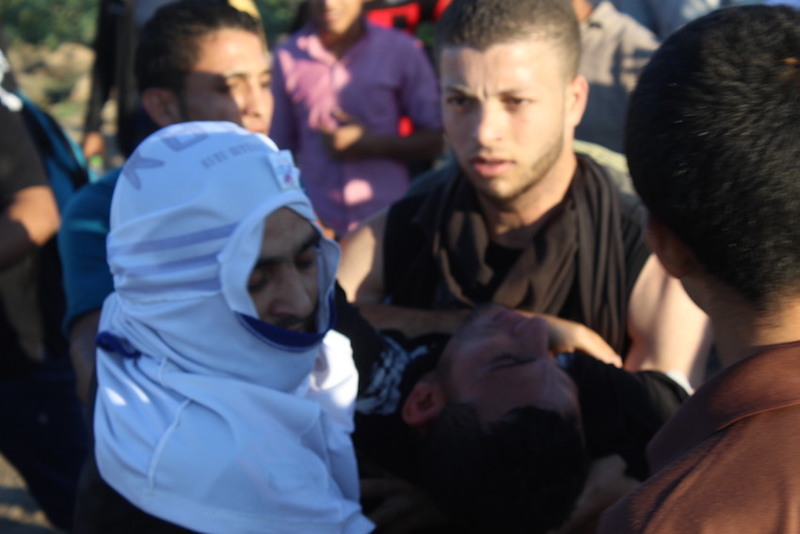 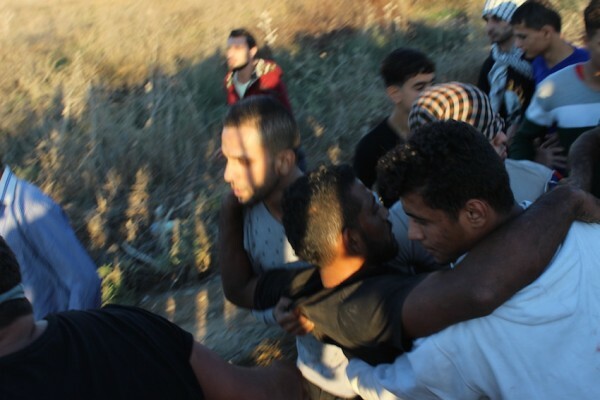 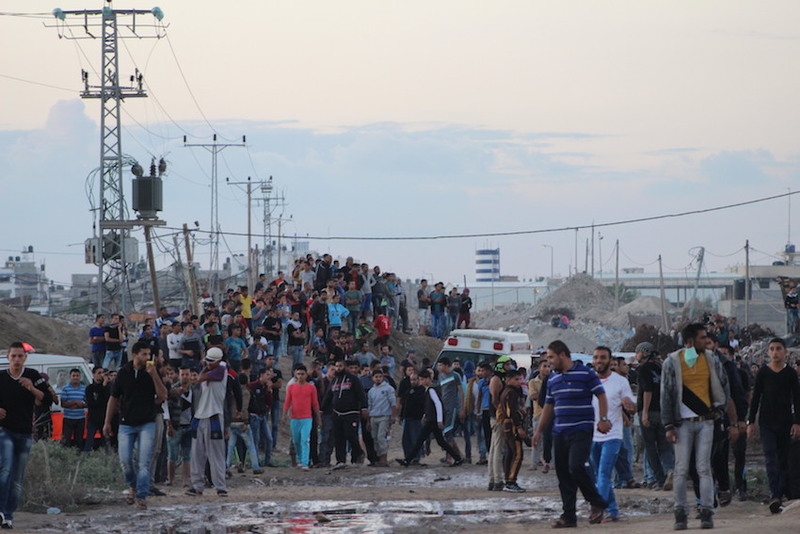 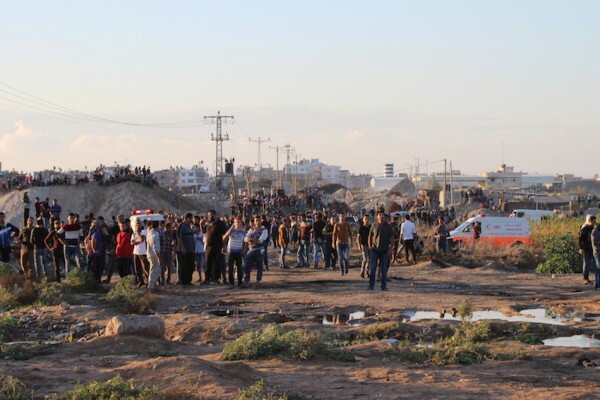 By the end of clashes yesterday, Minister of Health Dr. Qadra announced 46 people had been injured, including paramedics. 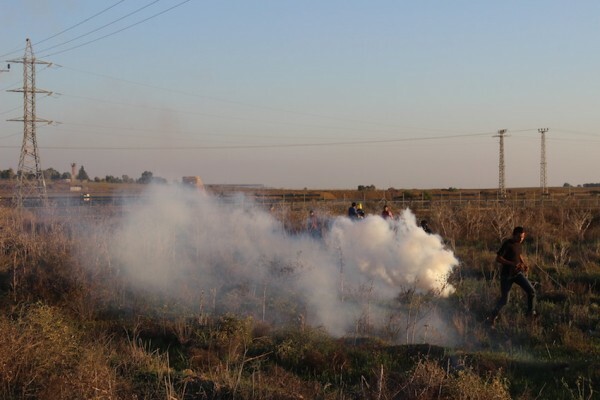 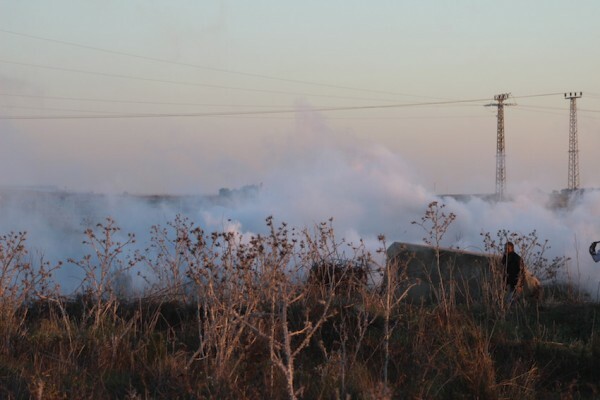 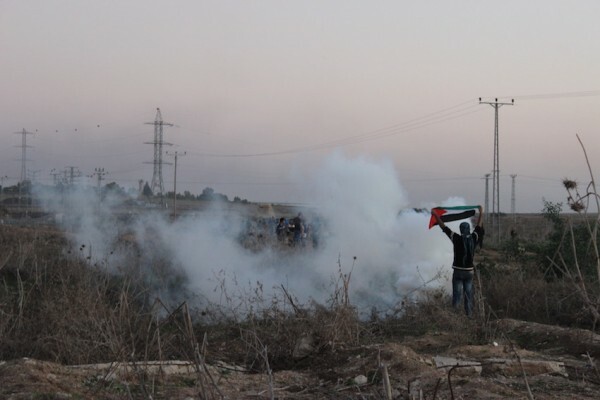 Israeli forces met the demonstrators – who were armed only with stones – with teargas and live ammunition. 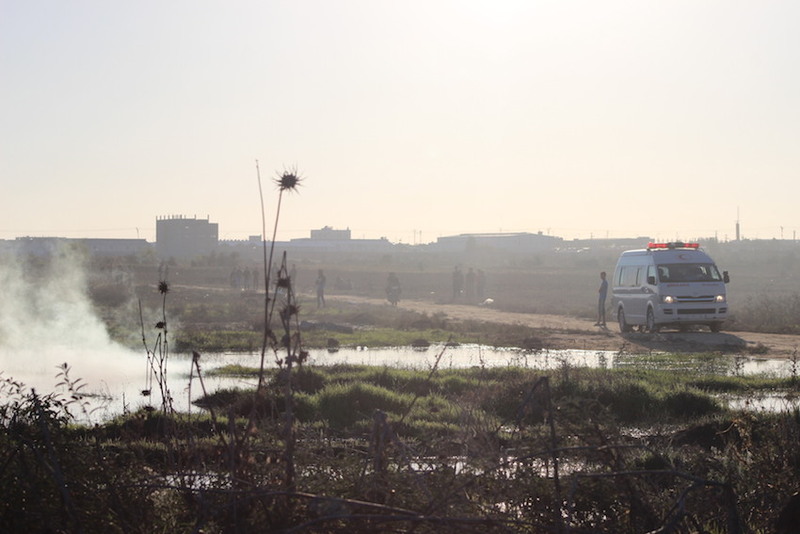 A photographer is in critical condition having been shot in the chest and in further contravention of international law, an ambulance was shot at in Khan Younis, wounding a paramedic. 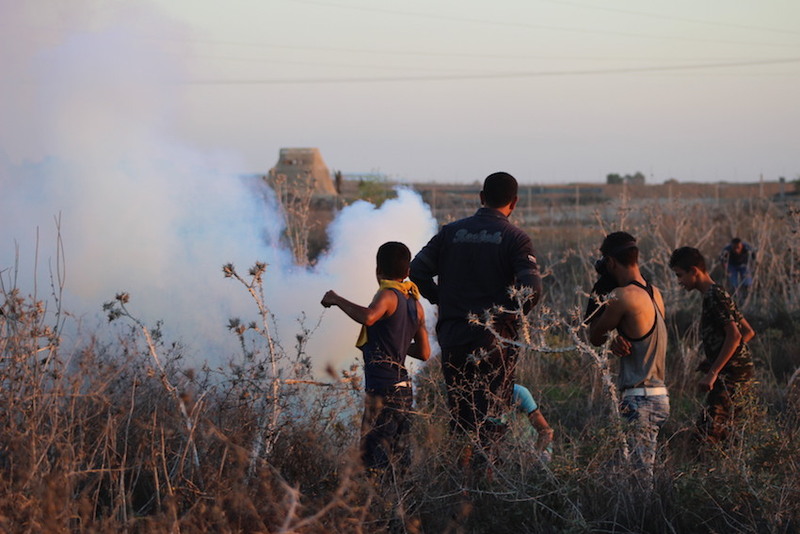 Confrontations between Israeli Forces and youth were recorded throughout the Gaza Strip, including in Bureij, Beit Hanoun and Khan Younis. 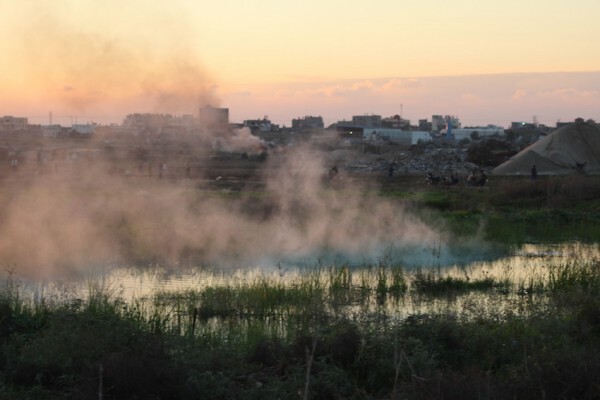 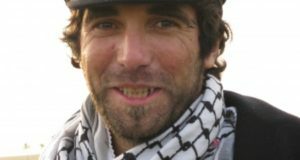 Since October 9th, 17 people have been killed in Gaza and 831 wounded as the brutality of Israeli forces throughtout the occupied territories continues to escalate.